My, oh my – my friends! Can you believe that the end of the school year is slowly wrapping up for several of us already? 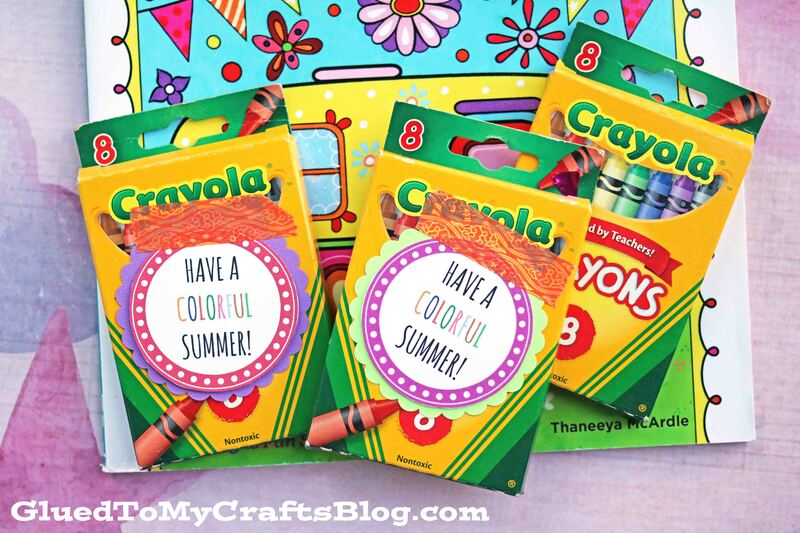 If you are still searching for some creative and inexpensive gift ideas for your child to hand out to their classmates in honor of the big milestone – look no further because today I’m sharing an easy Colorful Summer Gift Idea w/free printable, that is sure to be a big hit with the class! Since I’m all about encouraging and spreading the gift of “craftiness” I decided some crayons and coloring books were the perfect “end of year” gift for my son’s preschool friends. But of course – in true fashion of how we do things around here, I couldn’t just give the gift as-is. We had to “snaz” it up in true Glued To My Crafts fashion! So what are you waiting for? 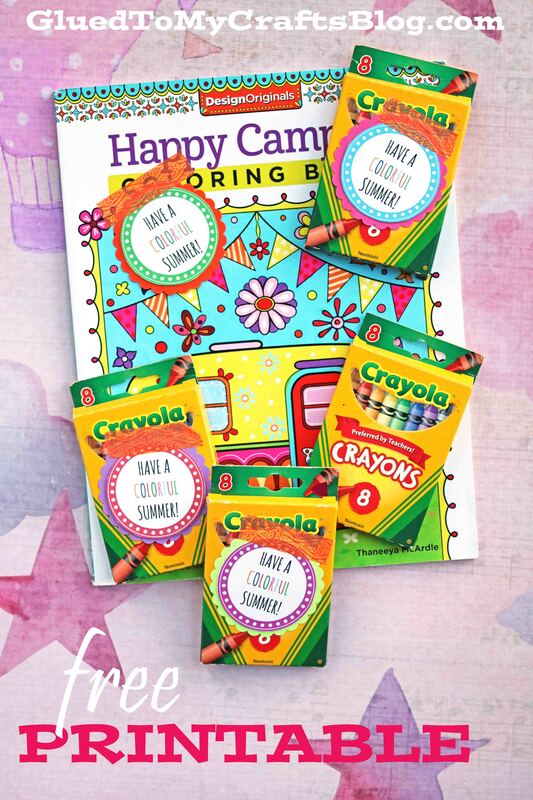 Start some “colorful” memories for your child’s friends this summer, by crafting up this simple gift today! Happy GIFTING my friends! Simply download the printable and print on white cardstock. Then using a paper punch, trim out each gift tag. To finish, just attach the tag to the coloring books/crayons, using twine or washi tape. You can also add your child’s name, as well as the receiver’s name on the back of the tag for personalization. Then gift away! And like with all my free printables – please only print these for personal use. If desired, these Colorful Summer gift tags can also be used for home decor, gifts, scrapbooking, cardmaking etc. But please – no altering, selling or claiming as your own. Also no business or commercial use either. When sharing these on the internet – please link directly to this page and not to the download itself.